At the springtime event, there's food and drink, music, shopping and so much more. Get the latest details on the 2019 festival. 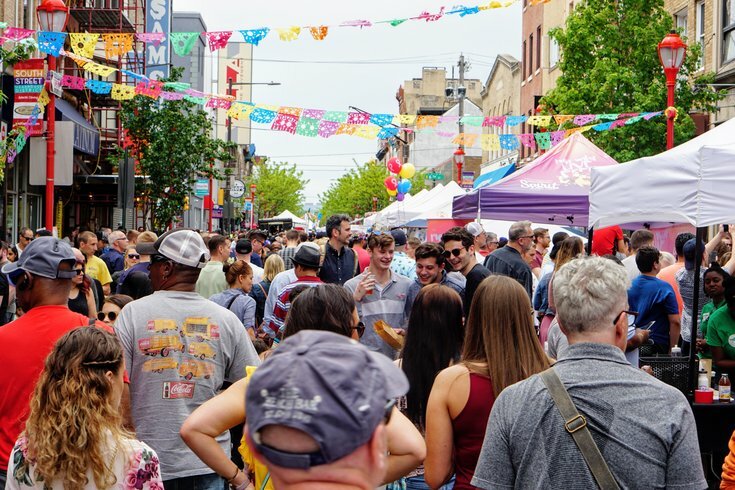 South Street Spring Festival returns on Saturday, May 4, 2019. 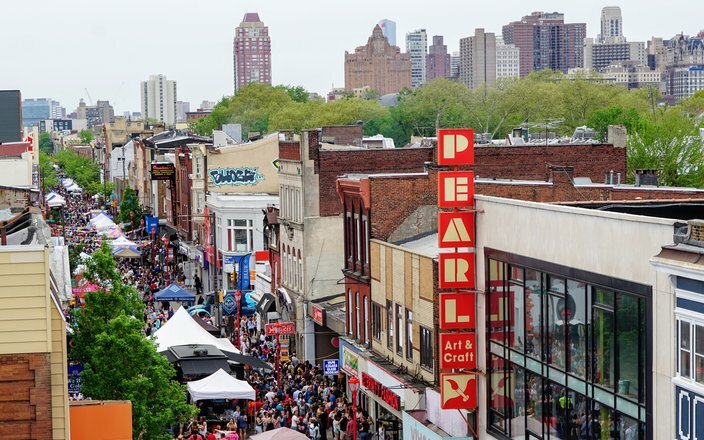 The South Street Spring Festival, one of the biggest springtime events in Philadelphia, will return Saturday, May 4. All ages are invited to the block party, which runs from 11 a.m. to 8 p.m. More than 20 bands will perform on three stages, while restaurants and food trucks serve food and drink in the streets, and a huge selection of vendors sell handmade items and other goods. South Street Spring Festival is a giant block party, spanning from Front and South streets to Eighth and South streets. Since the South Street Spring Festival is a "festival of festivals," there are also additional events throughout the day. There will be giveaways to celebrate National Comic Book Day, as well as Kentucky Derby watch parties and Cinco de Mayo drink specials. Also, the annual "Philly Taco" eating contest (It's a Jim's Steaks cheesesteak wrapped in a giant slice of pizza from Lorenzo and Sons, in case you were wondering) and Brauhaus Schmitz's Maifest will return. 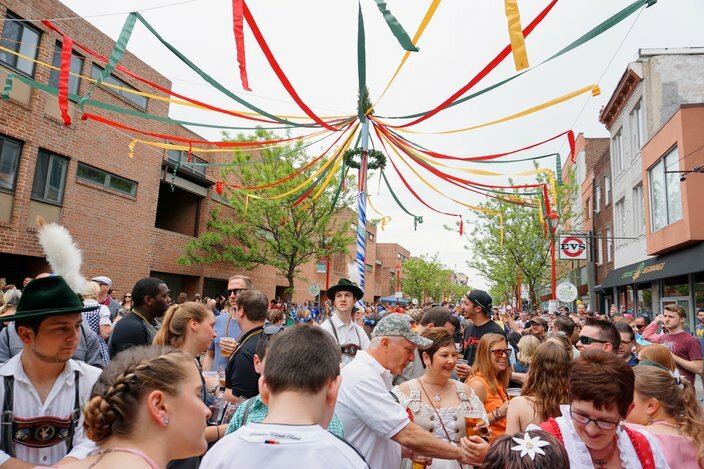 Maifest by Brauhaus Schmitz will take over the 700 block of South Street during the 2019 South Street Spring Festival. Look for the huge Maypole at the 700 block of South Street, where there will be authentic German food, liters of beer, flower crown making, German dancers and live music. Both the South Street Spring Festival and Maifest are free to attend. There are, however, $100 VIP tickets available for the German celebration. Included is an appetizer buffet from noon to 6 p.m., access to private restrooms, a commemorative beer stein, exclusive beers in the VIP Brauer Bund Bierhall and seven tokens each good for a beer or food item. As for more info on the food and drink available at the South Street Spring Festival, expect the full list to be posted later this month. Participants will offer free samples, special one-off dishes or signature favorites. To find the music, head to one of the main stages. They will be located at Second, Fifth and Eighth streets. For kids, there will be family fun areas and, new this year, an aerial and circus performance.